We stand in solidarity to elevate & support farmworker women across the United States. Alianza Nacional de Campesinas (“Alianza de Campesinas”) is the first national farmworker women’s organization in the U. S. created by current and former farmworker women, along with women who hail from farmworker families. Alianza de Campesinas’ mission is to unify the struggle to promote farm worker women’s leadership in a national movement to create a broader visibility and advocate for changes that ensure their human rights. Alianza de Campesinas was launched in 2011 after many years of conversations with farmworker women around the United States and in Mexico. 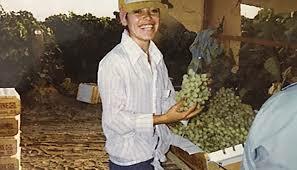 For years, farmworker women and advocates organized and engaged in activities in their home states and communities that were aimed at securing help and resources for farmworker women on many issues, including domestic violence, sexual harassment, basic employment rights, healthcare, education, housing, immigration and other issues. Over the years it became clear that it was necessary to unite these efforts at a national level in order to have the greatest impact possible.